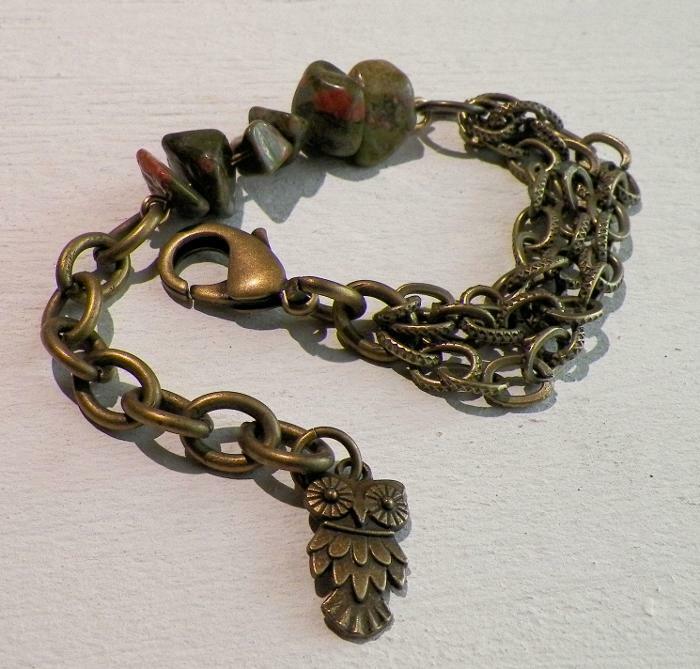 This vintaj charm bracelet is handcrafted using natural brass, unakite gemstone nuggets, two different brass chain sizes, vintaj owl charm, and brass wire. 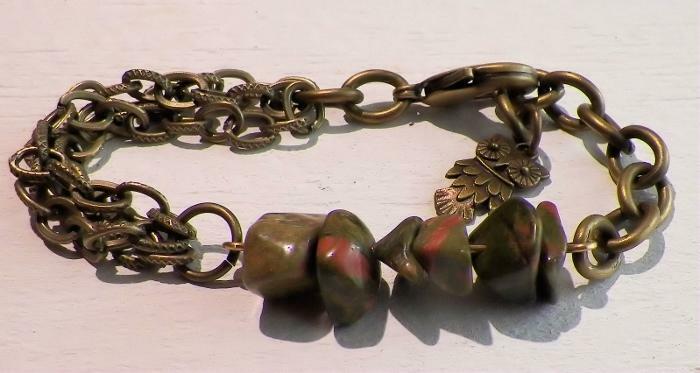 One side of this bracelet was formed using unakite gemstones connected together with handmade eye pins, and large brass chain. 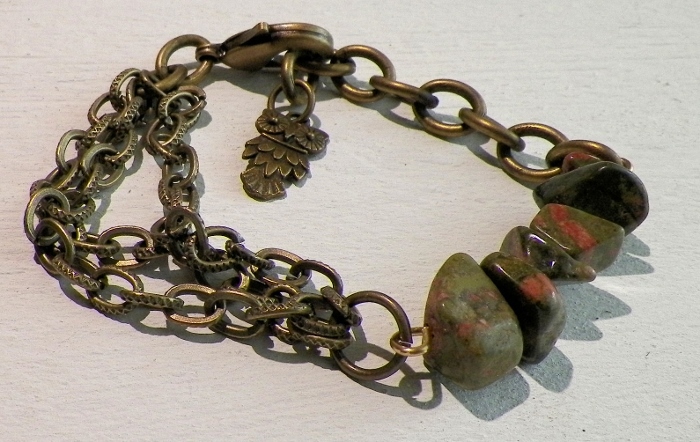 The other side of the bracelet is made using three smaller vintaj chains. 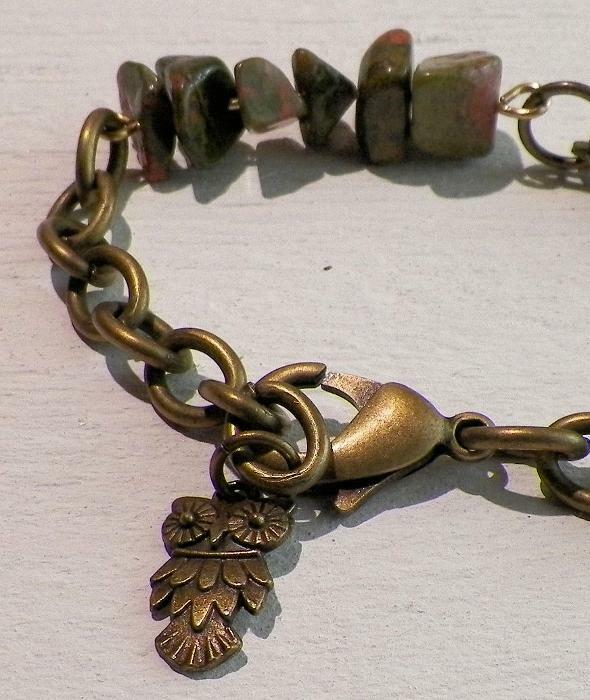 The vintaj brass owl charm dangles from the end of the larger chain. 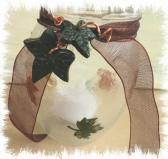 Closure is a brass lobster clasp. 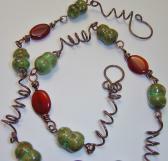 Bracelet fits wrist sizes up to 9”, just depending on which chain loop you hook the clasp into.